The Richter Optica S2-TPHD is a 10x / 30x stereo microscope with a high definition camera. 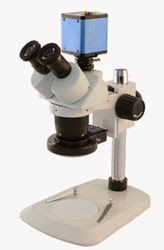 Right now this microscope system is on closeout special and has been reduced by $200 to $799 with free shipping. This past week Microscope World captured some images with this specific setup. The LED ring light provides plenty of light and the camera captured some good images. The camera allows a live view on an LCD projector or monitor using the HDMI cable, or capture of 5 megapixel images to an SD card. 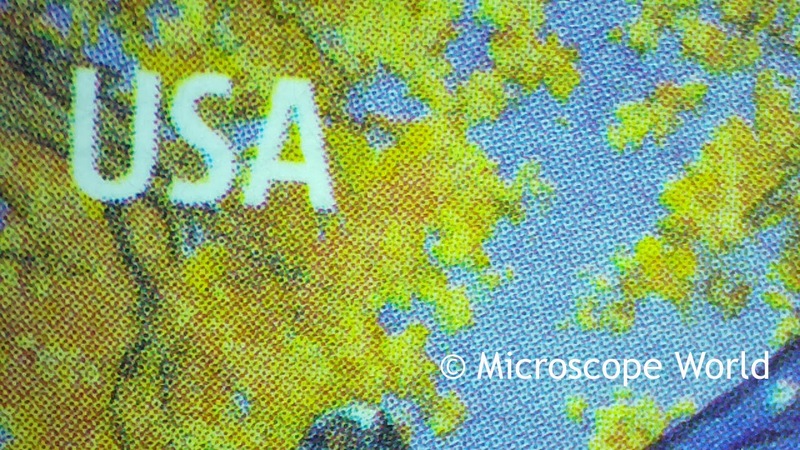 Postage stamp captured under the microscope at 10x magnification. 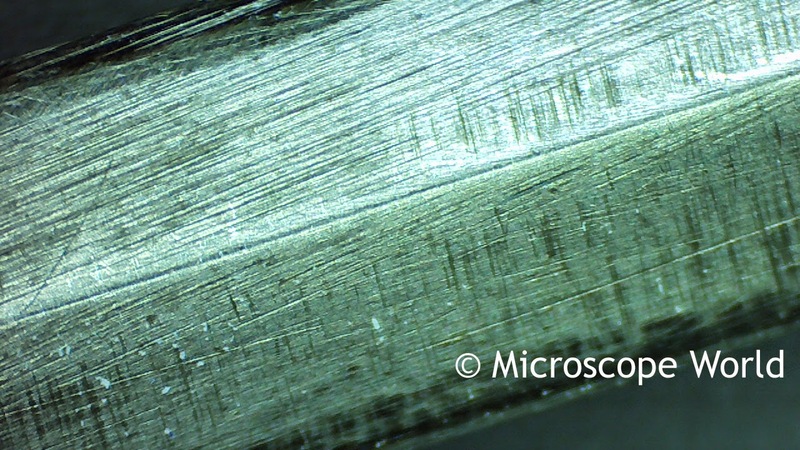 Steel Blade captured under microscope at 10x. 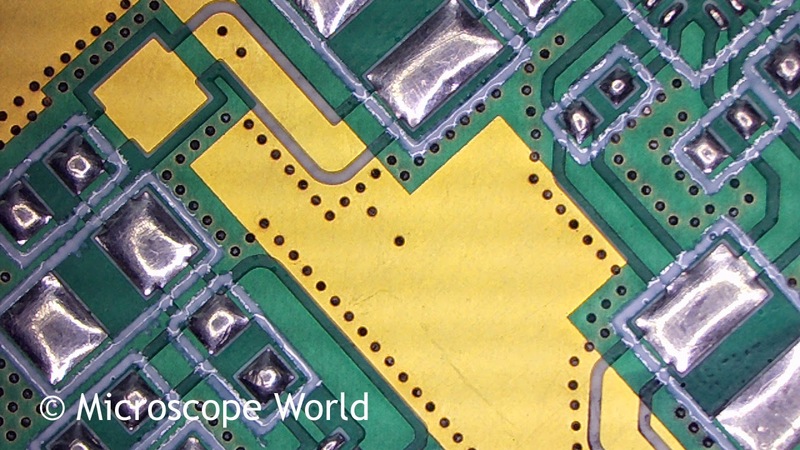 Printed Circuit Board under microscope at 10x. 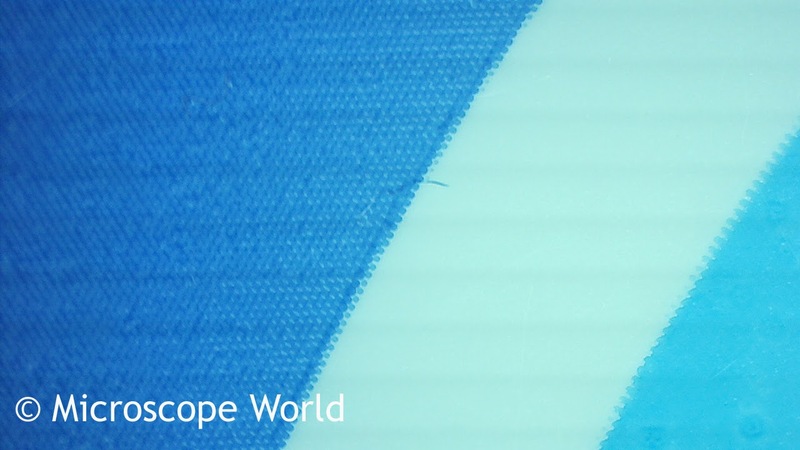 Plastic Film captured under microscope at 10x. 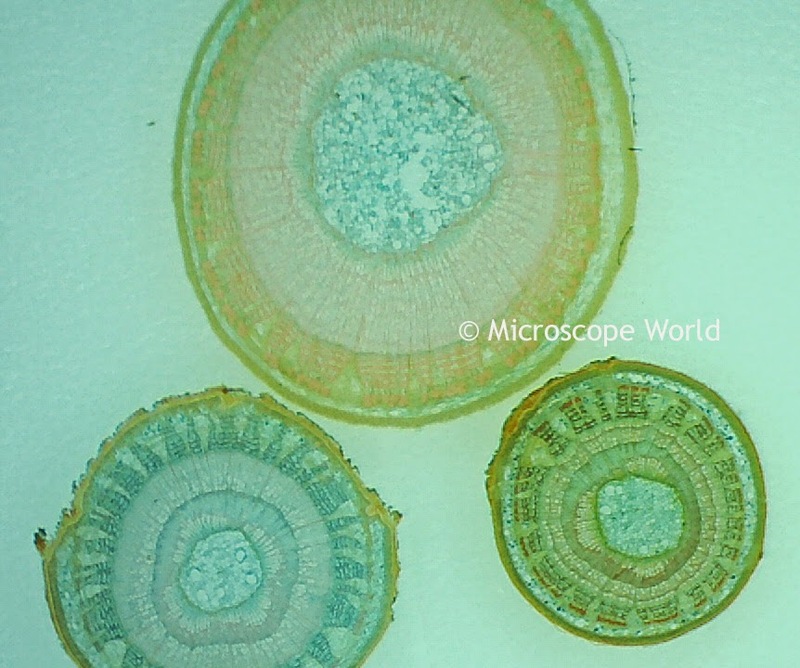 Monocot & Dicot captured under microscope at 10x. 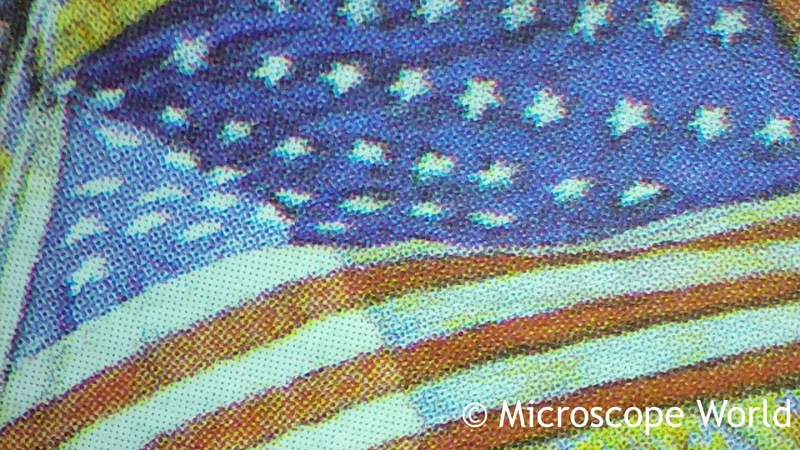 Postage stamp under microscope at 10x.